Love mustaches but can't grow your own? Not to worry, The Mustache Pack is perfect for you! Our wall decals are ideal for offices, living rooms, entryways, classrooms, even your car or glass shower doors! Layout shown: 22 inches wide by 47 inches high. Sizes vary from 16.5-22 inches wide by 2.5-11.5 inches high. 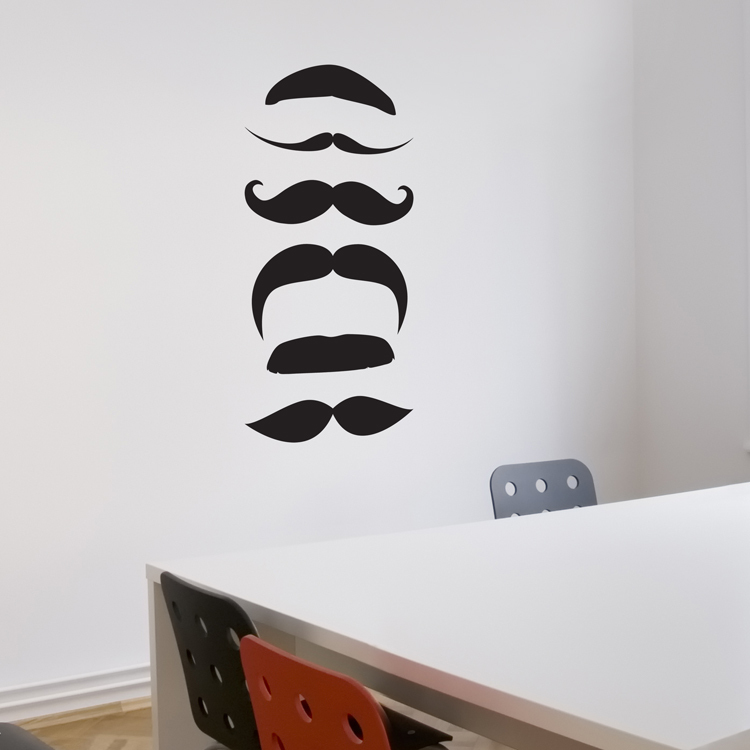 The Mustache Pack wall decals come separately so you can install them however you like!